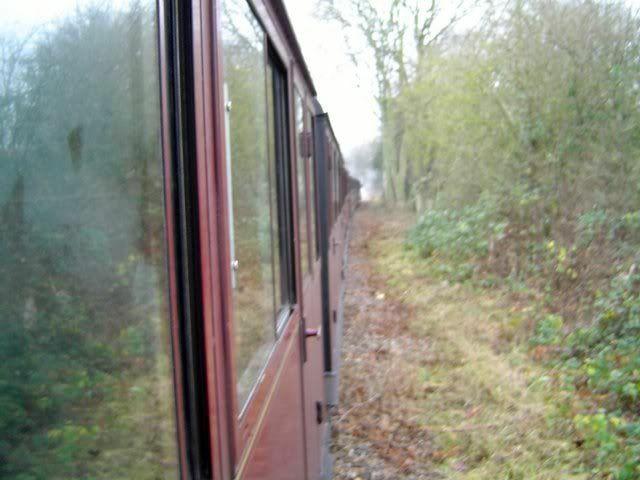 The Gn0rfolkers had a "Grand Day Out" today on the Bure Valley Railway, on the early "Mince Pie Special". 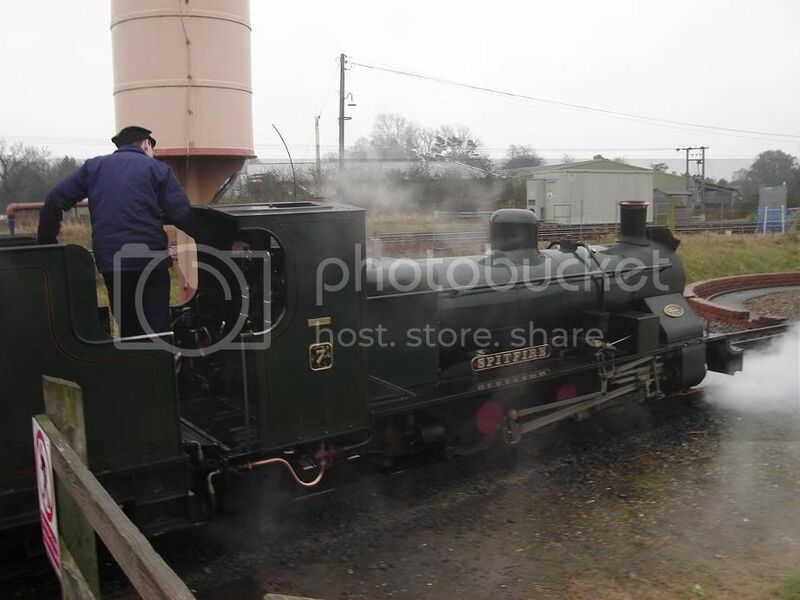 A fine time was had by all, and special thanks must go to Emrys and Janet & Ralph (they Gnow why ) thank you. A few photos taken by myself in the fine drizzle with a 3.1MP £20 digital camera. Just like to say I'll second that - and add a couple of photos of my own. 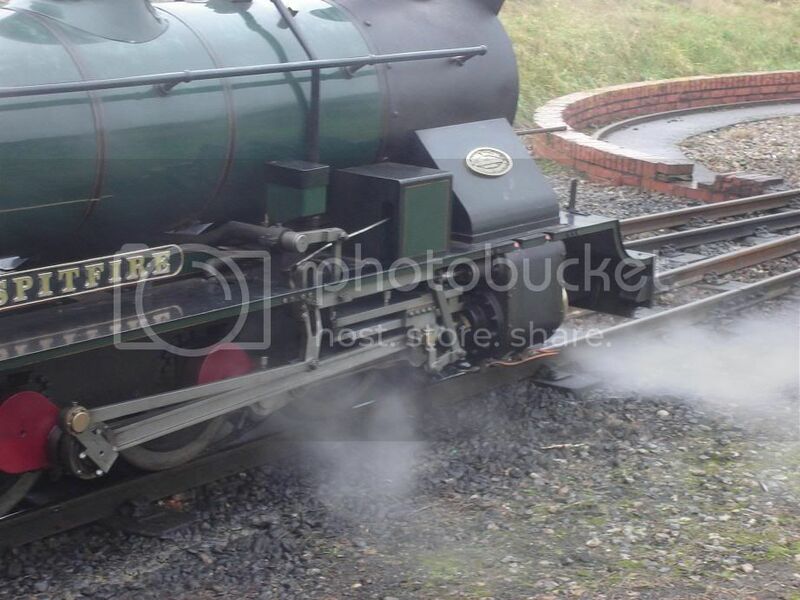 Another shot of 'Spitfire' our loco for the day. 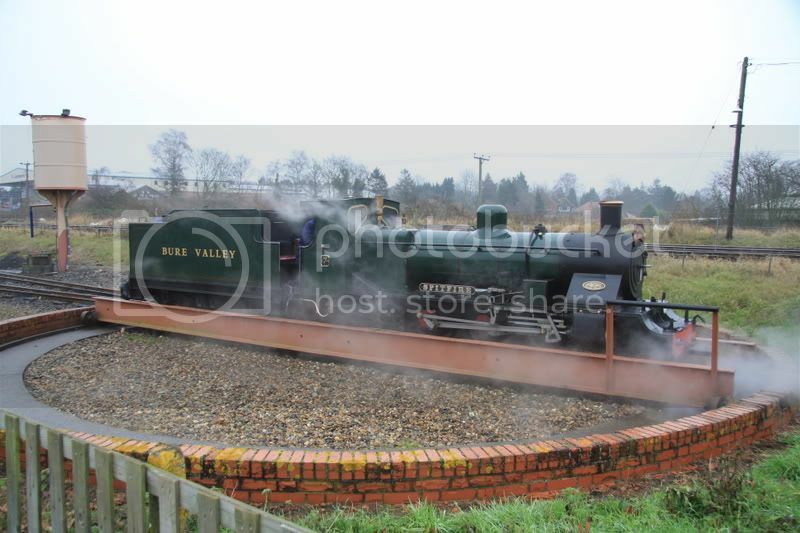 We all enjoyed it so much and thought it was such a good start to the year that we aim to do the same again next year and the year after and ...until it becomes a tradition (BVR please take note). I would post my photographs and video from the trip but unfortunately I'm having computer problems at the moment. Thanks to Emrys and Ralph & Janet from me too. EDIT: Got my computer working, it turns out that power cable for my memory card reader had unplugged itself. Simply plugging that back in has solved every problem my PC had. Thanks for posting the photos. They've come out better than mine as usual. 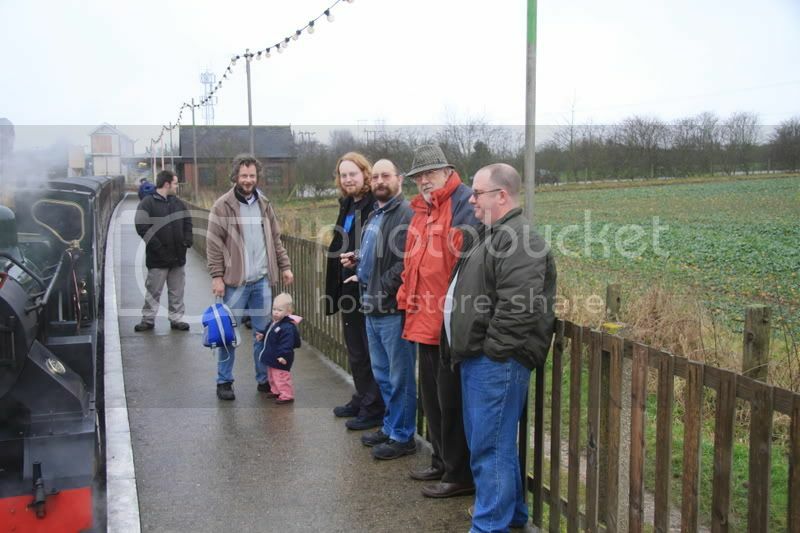 Our First Annual New Years Day Bure Valley Railway Mince Pie Special Outing was indeed a grand day out. Special thanks go to Janet, Emrys and Ralph.